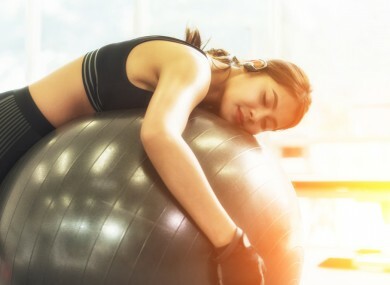 These five tips will help you to improve your sleep patterns, writes personal trainer Sarah Cremen. THE PAST TWO weeks I have talked about establishing a healthy morning routine and the positive impact it can have on the rest of your day. But what about bedtime? The secret to waking up bright eyed and bushy tailed, ready to take on the day ahead may lie in your sleep hygiene. It refers to a variety of different practises and habits that are necessary to have good night time, sleep quality and full daytime alertness. It may seem obvious but can be often overlooked as a key factor in physical and mental health, improving productivity and quality of life and for athletes; optimising recovery and therefore, athletic performance. Research in the area has consistently shown the association with failing to obtain adequate and consistent restful sleep and attention deficits, memory problems, mood disturbances and impaired mental and physical performance. Current recommendations from the National Sleep Foundation say 9-10 hours per night for adolescents and 7-8 hours per night for adults, however if you have a high training load or competition stresses, chances are the requirement will be higher. So, now that you know what it means, how do you go about improving your sleep hygiene? I get it, most people like a lie-in on the weekends, it’s seen as one of life’s little luxuries, but unfortunately it can lead to body clock disturbances that can turn into chronic sleep disruptions. Weekends or days off should be for rest and recovery, but readjusting your body’s internal clock two out of every seven days actually does the body no good. If you fall out of sync with your usual rhythm, by Monday your body will be craving those extra few luxurious hours of kip and can make getting up and at ‘em all the more difficult. established, one action often automatically stimulates the next. Habits are relatively easy to establish but difficult to break, so if your current bedtime routine is far from conducive to a good night’s sleep, allow some time to break those habits and form new, more positive ones. As with your bedtime, stay as consistent with your routine as possible; turn off the TV, take a warm bath/shower, read a relaxing book, meditate, practise mindfulness or do some light stretching and movement. Optimal sleep occurs in a quiet, cool, dark and comfortable environment. If you travel a lot, this may not always be possible, but control the controllable; maintain the room temperature below 19 degrees and use black out blinds, eyeshades, earplugs, “white noise” devices, fans or whatever it takes. Sleep and technology just simply do not mix. If you’re trying to get into a restful state before bedtime, watching TV or scrolling through Instagram may not be the best way to go about it as the content is made to be engaging and exciting. Electronic media exposure suppresses melatonin levels and the bright light emitted by phones/laptops/computers/tablets only enhances our alertness. Bottom line; avoid having your mobile devices in the bedroom and be particularly wary of using technology within an hour of bedtime. bedroom, not to go full blown hippy, but nobody needs that negative energy before bed! This may seem like an obvious one, but stimulants before bedtime is a no-no. Caffeine has a half life (the time it stays effective in your system) of between eight and ten hours, so if you find it negatively impacts your nighttime sleep, consider not consuming it after lunchtime. Beware of the caffeine content in unassuming products; teas, soft drinks and over the counter pain medication. While alcohol may make you feel sleepy, it disrupts the foundational structure of sleep. That, combined with the next day effects make it a bad choice for those seeking to establish an optimal sleeping pattern. Lastly, steer clear of any foods that can trigger indigestion or heartburn; heavy, rich, fatty or fried foods and spicy dishes can all be disruptive to your sleep. Sarah Cremen is a personal trainer and physiotherapist based in David Lloyd Riverview in Dublin. For more health and fitness advice and tips, you can follow her on Facebook, Instagram or Twitter. Email “Why sleep is one of the most important things for your mental and physical health ”. Feedback on “Why sleep is one of the most important things for your mental and physical health ”.